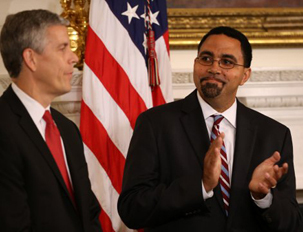 On Jan. 1, 2016, John King is scheduled to become ActingÂ United States Secretary of Education, succeeding Arne Duncan. King, who currently holds the No. 2 job at the U.S. Department of Education, brings a unique set of assets to the role. 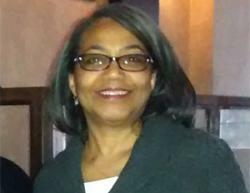 A former New York City high school social studies teacher who also helped to found successful charter school networks in both Boston and New York, King was New York state’s first African American and first Puerto Rican education commissioner before being tapped by the Obama administration last year. BlackEnterprise.com spoke with King about his priorities over the next 13 months, why he’s optimistic about the Every Student Succeeds Act, and how New York City public schoolteachers saved his life. The law also commits to preschool – “We’re thinking of our system as a P—12 systemâ€ –Â and to accumulating evidence about what works and then scaling those practices. Promise Neighborhoods, which provide extensive nonacademic wraparound services in the lowest performing schools, are also supported in the law. For the Obama administration, King says, the priority over the past seven years has been graduating kids college and career ready. Indeed, there have been notable successes, such as the record high school graduation rate of 82% and the narrowing of gaps between groups of students, such as African Americans, English language learners, and low income students. It’s unclear, though, if the graduates are ready for post-secondary education or the workplace. “We do need to remain vigilant that states and districts work to fulfill the promise of the law,â€ King says. “We still have the authority to intervene, to do intensive monitoring, to restrict or withhold funds.â€ But King says he’s optimistic, and noted that an organization of state education leaders recently chose equity as its conference theme. King’s poignant personal history has perhaps uniquely qualified him for this new role. The son of educators who met in graduate school – his father, the first black school principal in Brooklyn, was his mother’s instructor – he lost both parents to illness by the time he was 12. As Acting Secretary, King avoids the Congressional approval process but is expected to serve until the end of President Obama’s term. Depending on who wins the presidential election, he may be asked to stay on.